Standard software usually does not cater to all your business requirements. Even the best fit software bundle will probably meet 60% - 70% of what you actually want. Any standard software either does not meet all your requirements or the high end ones will carry features you will never use. So why settle for something that is not meant for you!! 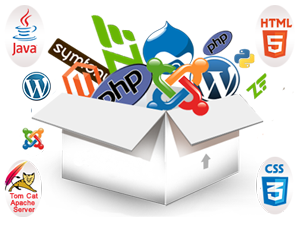 Suretek Infosoft specializes in the development of custom software development for you. Suretek’s Team works collaboratively with your team to create a system that meets your needs. Suretek’s development services incorporate a wide range of technologies such as Microsoft .Net C#, VB.Net, J2EE, C++, J2ME etc and follow industry standard software engineering processes. Our transparent Project Management and Change management practices ensure that our client is involved at all levels of development cycle. We rigorously test the application to ensure defect-free delivery. It does not matter if you have a small pilot project that you would like to get developed or something very big like an extensive application, we are here to satisfy what ever your project requires.